Indian Army JAG 23 Application Form 2019 – Indian Army has released the JAG 23 Application Form 2019 at joinindianarmy.nic.in on January 16, 2019, and it will be available till 14 February 2019. The Indian Army is inviting all law graduates (both male and female) falling in the age group of 21 to 27 years to apply for Indian Army JAG 23 Recruitment. The application fee is Nil in JAG 23 entry scheme. So those who will fill the form in time accurately will be issued the call letter for SSB. The candidates qualifying the SSB interview will be then admitted to the JAG Entry Scheme 23 Course which will commence in October 2019 at the Officers Training Academy (OTA), Chennai. Get here all the details of Indian Army JAG 23 Application Form 2019. Latest: The application form of Indian Army JAG 23 has been commenced on January 16, 2019. Scroll down to access the link. 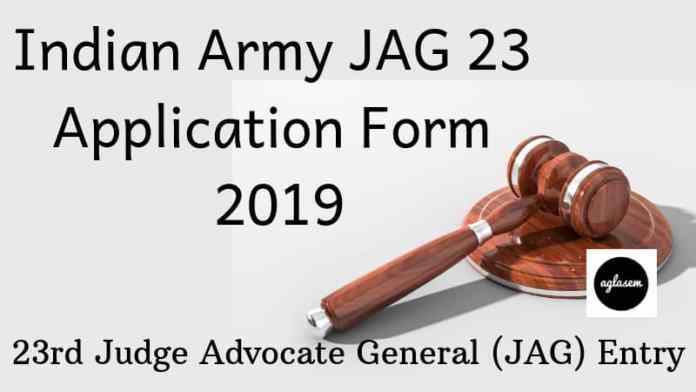 As of 2019, all applicants for the JAG Entry Scheme 23 will be competing for 14 vacancies (7 gentleman cadets, 7 lady cadets) in the Judge Advocate General branch of the Indian Army, a special force of legally qualified army officers who work under the Judge Advocate General. Apply Online: Click here to Fill Indian Army JAG 23 Application Form 2019. Nationality: The candidate must be an Indian Citizen or a foreign national candidate who will possess a certificate of eligibility issued by the Government of India. Age Limit: The candidate should be between 21 to 27 years of age, as of July 2019. Educational Qualification: The candidate should have a minimum of 55% aggregate marks in LLB Degree (three years professional after graduation, or five years after 10+2 examination). There is no application fee required to be paid by candidates to apply for joining the JAG 23 branch of the Indian Army. To fill the Indian Army JAG 23 Application form 2019, aspiring candidates should keep the following documents handy, as the application form will require each applicant to provide their personal details with absolute accuracy. Matriculation certificate/ Class 10th Marksheet. Class 12th Certificate and Marksheet. OR Certificate from College/University that the LLB course in the said institution is recognized by the Bar Council of India. Certificate issued by the University regarding formulae for conversion of CGPA / Grades into marks followed by the university. 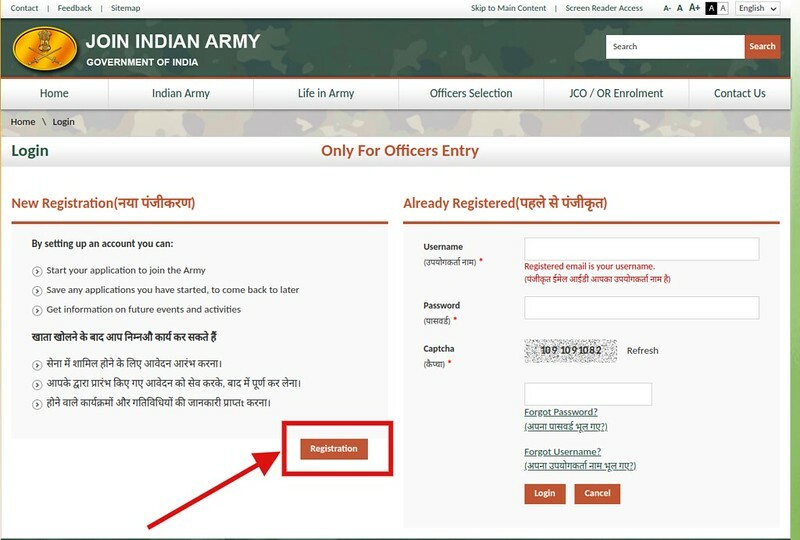 How To Fill Indian Army JAG 23 Application Form 2019? Applications for Indian Army JAG 23 Recruitment 2019 will only be accepted online on the official website www.joinindianarmy.nic.in. No offline applications will be accepted. Follow the following simple steps to register yourself on the website, after which you will be able to proceed towards filling your online application form. 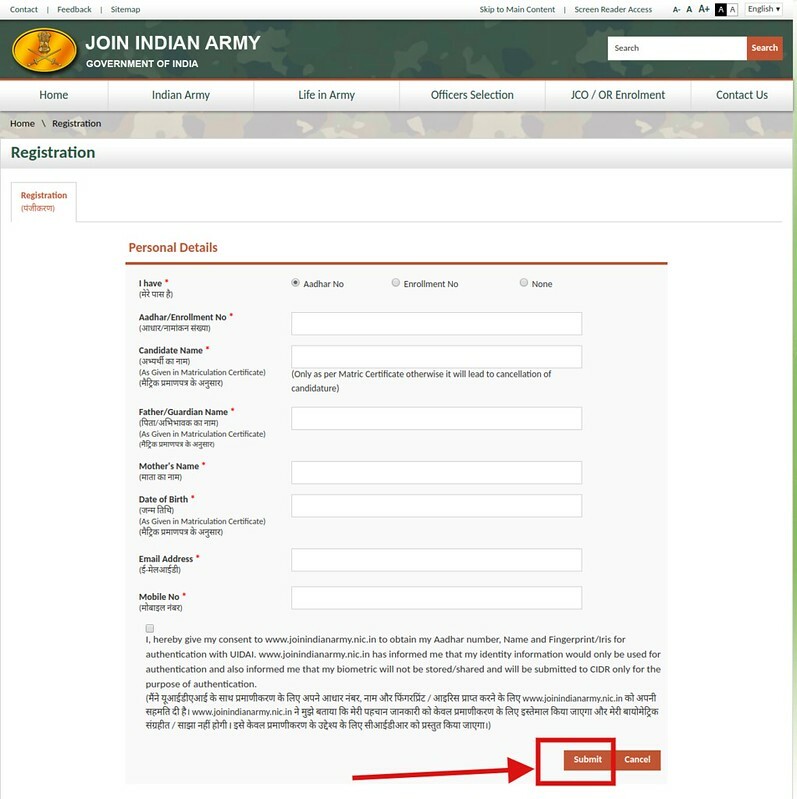 At first click on the above link, that redirects to the application page on the Indian Army’s website. A similar page to below image will open. An instruction page appears, thereafter candidates have to read all the instructions carefully and proceed to fill the form. Now candidates who are not registered have to do registration by clicking on the “Registration button”. A new page opens with the following text fields. Do you have Aadhaar or Not? After agreeing to the declaration the candidate’s registration for JAG 23 will be complete and the candidates will get following message on their registered mobile number. NOTE: There is no need to send any hardcopy to DG RTG/ RTG DTE. Read all the instructions for registration carefully. 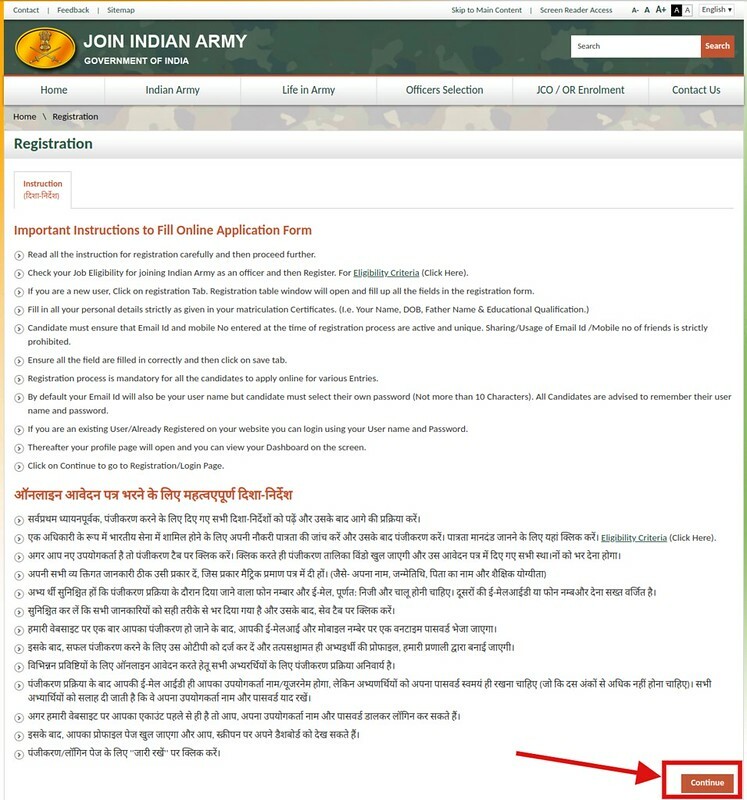 Check your eligibility for joining the Indian Army as an officer and then register. If you are a new user, click on the Registration Tab. Registration Table window will open and fill up all the fields in the registration form. Ensure that the Email ID and mobile no entered at the time of the registration process are active and unique. Sharing/usage of friends’ Email ID and Mobile Number is strictly prohibited. Ensure all fields are filled in correctly and then click on the ‘Save’ tab. Thereafter your profile will open and you can view your dashboard on the screen. The Judge Advocate General Branch of the Indian Army functions as a special force consisting of legally qualified army officers who function under the Judge Advocate General, a Major General who acts as the legal and judicial chief of the Army. The candidates selected for recruitment into the JAG 23 Short Service Commission will undergo a training period of 49 weeks at the Officers Training Academy, Chennai, at the end of which each of these cadets will be awarded a Post Graduate Diploma in Defence Management and Strategic Studies’, by the University of Madras. 1. Can I apply without Aadhaar number? Yes, you may apply, but you are advised to obtain the same at the earliest and update it in your profile for ease in biometric identification during recruitment/selection. 2. The train passing through my home station reaches two days before the date of reporting. What can I do? / If I come a day before, could you entertain me on the campus? No, you are advised to report on the appointed day. In case you come early due to unavoidable circumstances then you have to stay under own arrangement in the city. 3. I am doing 10+2. How can I apply to be an Army Officer? See the advertisement published by UPSC for National Defence Acadamy (NDA) in Apr/Sep every year and for 10+2 TES Entry in leading newspapers in Nov/Dec and May/June every year. 4. My parents/friends/roommate got the call-up letter, I have not received it. What can I do? You can check your interview dates on this website and report for the interview accordingly. 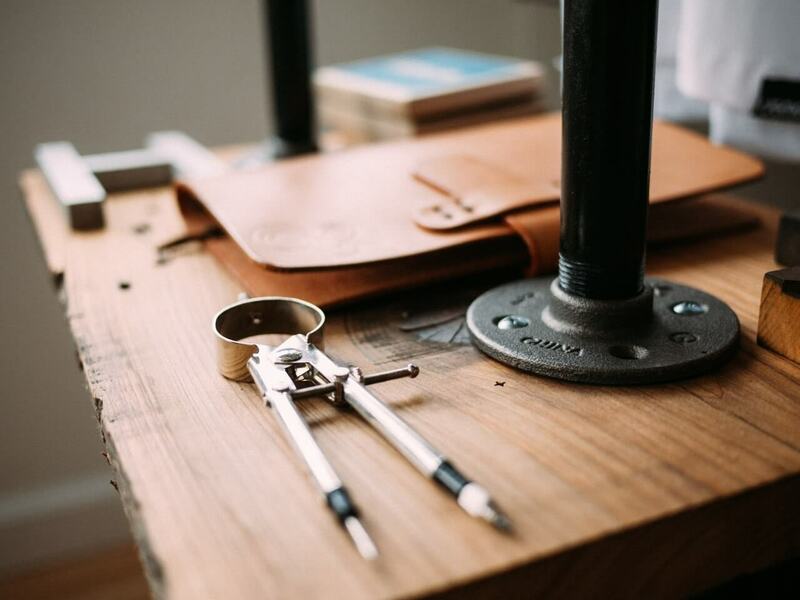 A sample call letter can be downloaded. 5. I had given the address of Delhi in the application. Now I shifted to Kanpur? Check details of your SSB interview on this website. You can download the instructions and report to the concerned Selection Centre. Write an application to the ADG Rtg, Rtg-6, West Block-III, RK Puram, New Delhi regarding change of address. 6. I am not able to submit my application? 7. If I receive my SSB interview date once, it is possible to fix the same at any other time? Yes, If you are unable to attend the SSB interview due to unavoidable circumstance, you can write to/speak on the telephone with the concerned Selection Centre from where you have got the call. They will give you another date for SSB interview. 8. What are the medical standards laid down to become an officer in the Indian Army? To learn about the medical standards visit our website www.joinindianarmy.nic.in.